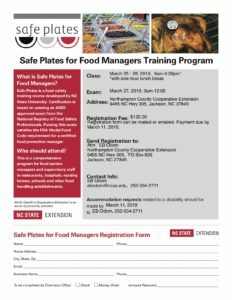 Looking for a Certified Food Protection Manager Course? N.C. 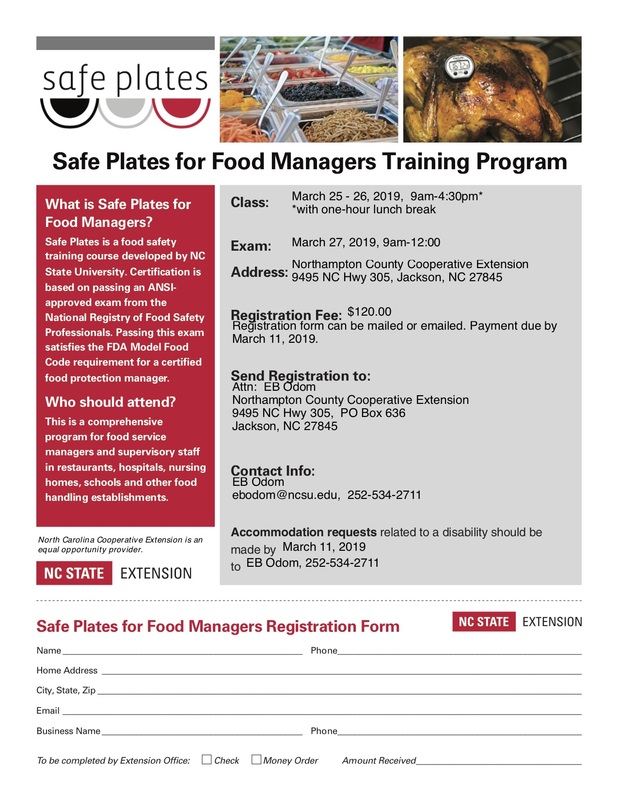 Cooperative Extension of Northampton County will hold a Safe Plates for Food Managers Training on March 27-29, 2019. For more information or to registered, call EB Odom at 252-534-2711.